Light, soft, comfortable and beautiful! 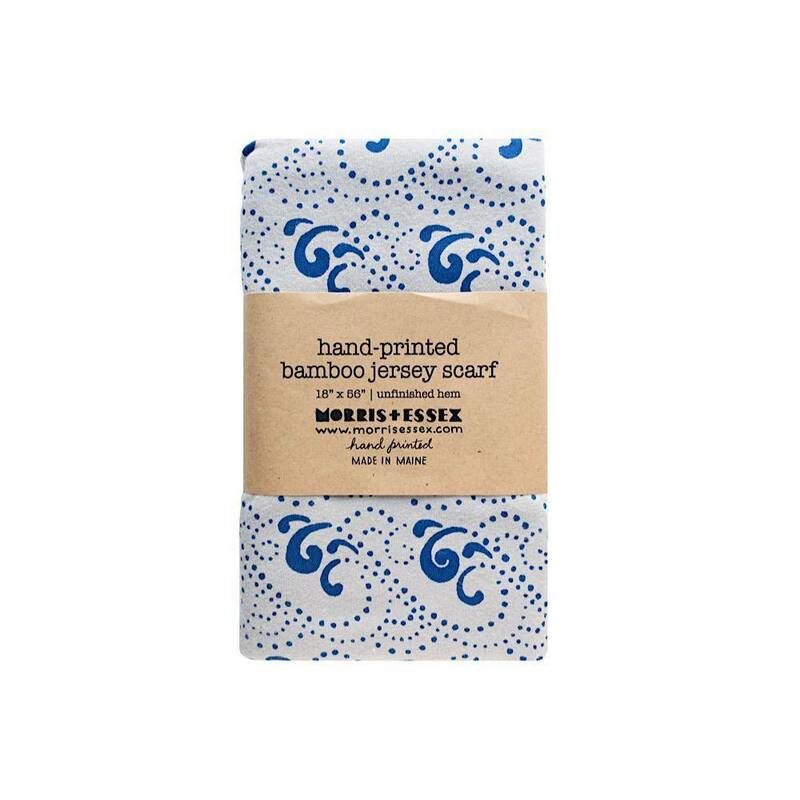 Maine company Morris & Essex has hand-silkscreened one of their many gorgeous patterns onto this drapey bamboo-cotton blend scarf. 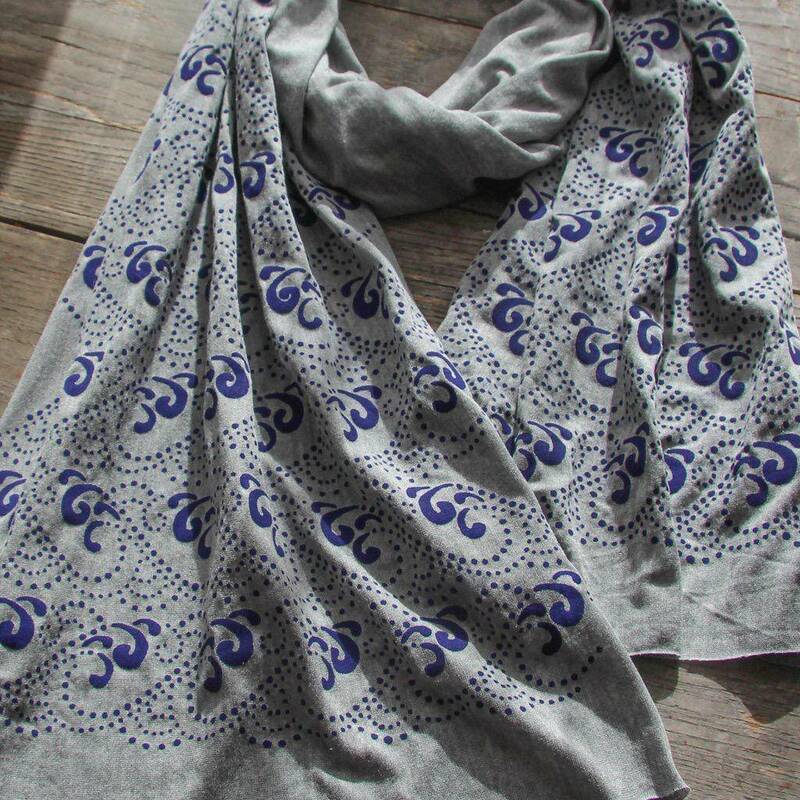 Long enough to wrap twice around your neck, or to tie in dozens of different styles! 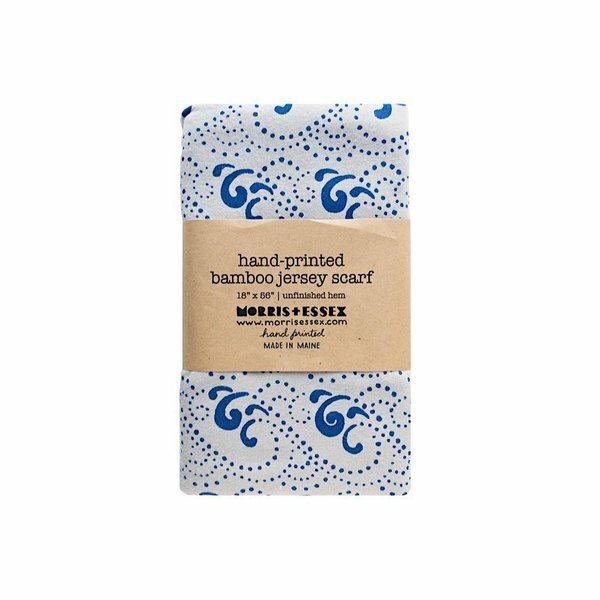 Bamboo-cotton blend. Hand wash to preserve the print. Made in Maine. Dimensions: Approximately 60L x 18W inches.